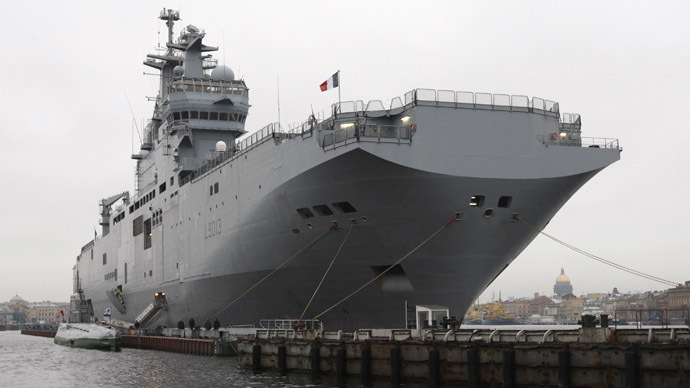 Amid growing Western pressure being put on Russia, US congressmen are calling on France to reconsider the sale of its two Mistral helicopter carrier ships to Russia and instead allow NATO to buy or lease them. "The purchase would send a strong signal to [Russian] President (Vladimir) Putin that the NATO allies will not tolerate or in any way enable his reckless moves," Reuters quoted a letter sent to NATO Secretary-General Anders Fogh Rasmussen as saying. France has been facing increasing pressure from its US and European colleagues to cancel the sale in light of the Ukrainian crisis. The letter also argued that if NATO acquired the two warships, it would enhance the bloc’s capabilities at the time of budget cuts and give reassurances to its partners in Central and Eastern Europe. Various top lawmakers signed the letter - including US Representative Eliot Engel of New York, the top Democrat on the House of Representatives Foreign Affairs Committee; Representative Michael Turner of Ohio, chairman of the US delegation to the NATO Parliamentary Assembly; and Massachusetts Representative William Keating, the top Democrat on the House Europe subcommittee. Despite the clear stance of its allies, France has refused to cancel the 1.2 billion euro (US$1.6 billion) deal, claiming it is too big to go back on. Even if France chose to reverse the deal, it would have to pay a forfeit, head of the Department of Constitutional and Municipal Law of Moscow State University's Faculty of Law, Suren Avakyan, told RIA Novosti. 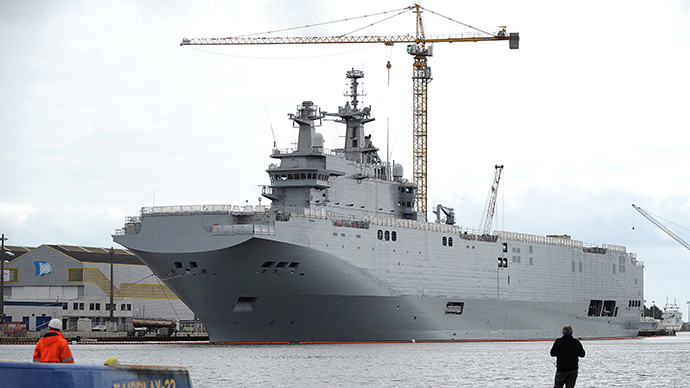 Should France change its mind, Russia could file a lawsuit to claim recovery of its losses, lawyer Evgeny Raschevsky told RIA Novosti. “Not fulfilling the contract, certainly, will give our country a right to appeal to a court. Without having a text of the contract, we don’t know conditions it provides for dispute resolution, but usually a contract with a foreign supplier includes the so-called arbitration clause that stipulates that disputes [be] resolved through an arbitration process,” he said. Earlier, US officials suggested that France could sell the ships to another buyer or sell them without the advanced technology, although it is not at all clear at this late stage who the other buyer could be. 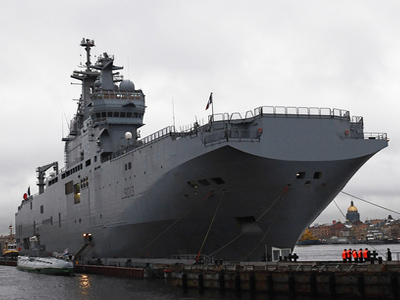 The first of the two ships, the Vladivostok, is due to be delivered by November this year and the second, called Sevastopol, will arrive in St. Petersburg for a further fitting with Russian weapons systems in November 2015 and will join the Pacific fleet in the second half of 2016. 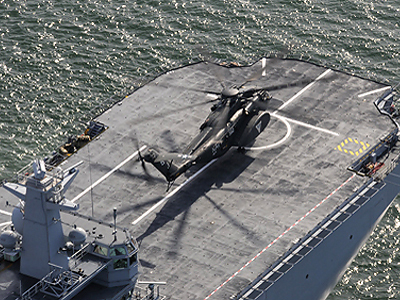 The Mistral ships can carry up to 16 attack helicopters such as Russia’s Kamov Ka-50/52, more than 40 tanks or 70 motor vehicles, and up to 700 troops. The ships for Russia have been modified from the version used by the French navy to operate in northern altitudes and ice covered seas.